Coach's Corner - LeBron James hand signed Lakers jersey. 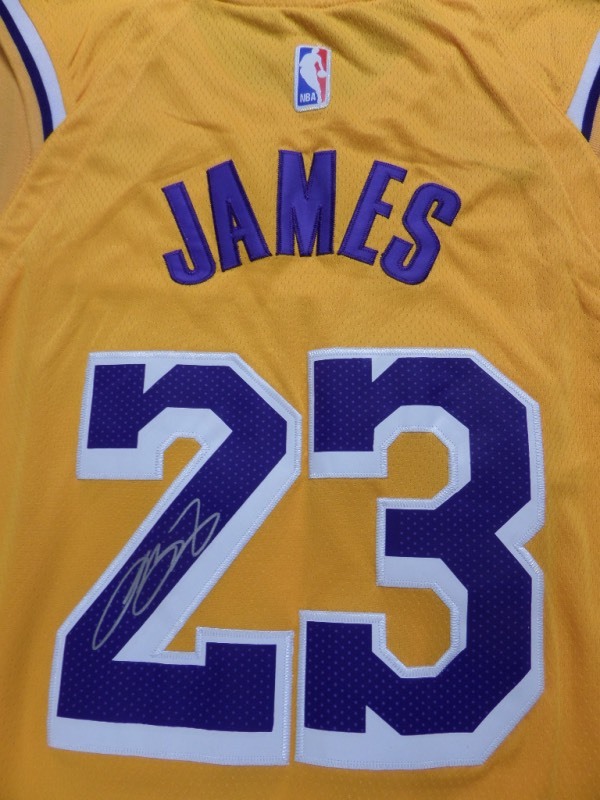 Go Back to Lot List LeBron James hand signed Lakers jersey. This mint 2018-19 NBA jersey is a beauty, comes to you in the LA home gold style, while trimmed in white and purple team colors, and even has sewn on everything as well as name on back. It is THE sports investment of the future, comes back #23 signed by "King James" in silver paint pen, and an honest 10 all over is in order here.